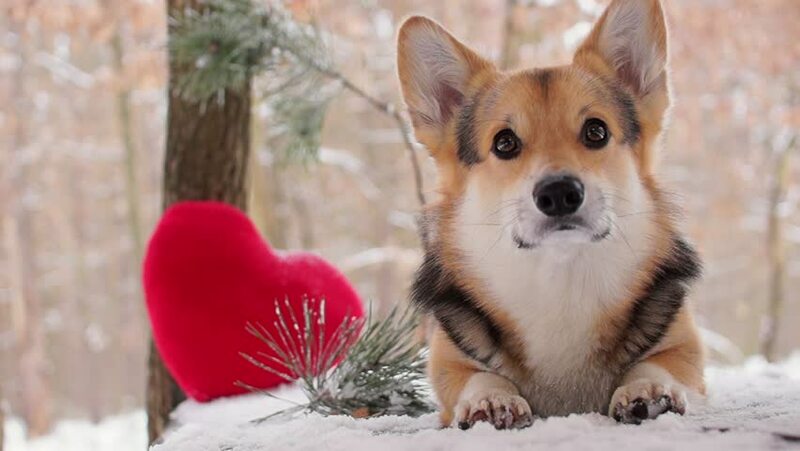 A lovely loving dog with a red heart congratulates Valentine's Day, All Lovers' Day. 4k00:05Nebelung cat and Turkish Angora in a celebratory setting with a gift. Birthday, Christmas, New Year, anniversary celebration concept.